To prevent and treat diabetes, a healthy and well-balance diet, regular exercise and taking certain medicines are necessary. However, taking certain supplements may also prove beneficial. Interestingly, many supplements have demonstrated to possess anti-diabetic property and help in lowering blood sugar and lipid levels and improving sensitivity to insulin. Read on to gain knowledge about the most important and beneficial supplements that can be used for diabetes. Before taking in supplements you should know few things. 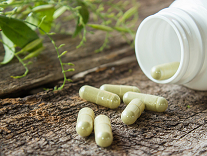 First, it is important to consult with your doctor about the supplement you plan to take and its quantity. This is required as certain supplements may cause adverse affect on your kidneys or produce other adverse effects and some of them may interact with any of your medicine. Hence, safety should be your initial concern. There are certain supplements that are beneficial for diabetics that you can consider and you may discuss about them with your physician. Also, plan your diet in a manner so that you are able to get the maximum nutrients from your food itself. Psyllium husk fiber is available as capsules or powder. It gives an excellent amount of soluble fiber that helps in moving your bowels regularly, which helps in maintaining your general wellness and supporting good health of colon. Hence, psyllium husk fiber is one of the good supplements for diabetes. However, you should be aware of the fact that it may interfere with certain medicines and may lead to constipation in individuals who don’t consume sufficient water. Soluble fiber can also be obtained by including certain foods in your diet such as vegetables, coconut, avocado, whole grains, berries and lentils. Some patients suffering from diabetes may develop deficiency of vitamins that are water soluble such as vitamin C and B vitamins. This happens in people who have high blood sugar levels chronically. Due to this they urinate more often-and with urination they lose out the water soluble vitamins. B vitamins are present in foods such as yogurt, nuts, dark leafy green vegetables, pork, seafood, legumes, chicken, eggs, avocado and beef. Vitamin C is an antioxidant and it has been demonstrated to decrease the risk of complications of diabetes and improve levels of blood sugar and A1C in people with diabetes type 2. It is one of the good supplements for diabetes. However, you should consult your physician before taking a vitamin C supplement. Food sources of vitamin C are Brussels sprouts, kale, bell peppers, cauliflower, broccoli, chili peppers and strawberries. According to National Institute of Health, magnesium is required to process glucose and the risk of getting diabetes is increased by having a deficiency of magnesium. However, studies done regarding the benefits of magnesium supplementation are inconclusive and taking high doses of magnesium can prove harmful. Rich dietary sources of magnesium are almonds, spinach, pumpkin seeds, yogurt, fish, chard and dark chocolate. They are known to be heart healthy; though, it is pointed out by NIH that supplementation is not really linked to a reduced risk of cardiovascular disease or lowered sugar levels in studies. It is ideal to get omega 3 fatty acids via foods. You should also be aware that certain supplements of omega 3 may interact with drugs which affect clotting of blood. Foods rich in omega 3s are tofu, salmon, fresh or canned sardines, anchovies and tuna, seeds such as flax and chia, dairy and grass-fed beef, eggs and walnuts. Vitamin D and importance of its adequate intake is in lot of news these days. You can get vitamin D from the sun or food. Lack of vitamin D is associated with metabolic disorders. Vitamin D is considered as one of the good supplements for diabetes; however, you should get your levels checked before consuming vitamin D supplements as you can easily overdose it. Foods rich in vitamin D are fish such as salmon and tuna, eggs (yolk), yogurt, beef liver, shrimp, cheese and oysters. You can also get enough vitamin D by exposing your body to sunlight for around 10-20 minutes each day. According to studies, long term intake of metformin has been linked to low levels of vitamin B12, which can result in nerve damage. In case you are on metformin and have concerns regarding your levels of vitamin B12, discuss with your physician if you are required to take supplement. Foods rich in vitamin B12 are clams, oysters, milk, mussels, tuna, yogurt, eggs, chicken, salmon, turkey, beef and trout. The compound hydroxychalcone present in cinnamon stimulates insulin receptors present on cells improving the absorption of blood sugar. It has been found in a study that around ½-1 tsp of cinnamon per day lowered levels of fasting blood sugar an average of 9 points in diabetics. You can take 500 mg of extract of cinnamon in capsule form two times daily or ½-1 tsp of ground cinnamon per day. It helps best when taken with diabetes medicines. Don’t take it if you suffer from liver damage. Alpha-Lipoic Acid is one of the good supplements for diabetes if you are suffering from pain in toes, fingers or feet as a result of nerve damage due to diabetes. It helps by decreasing the sensitivity of nerves to pain. It’s a possibility that the increased levels of free radicals accompanying high blood sugar may be neutralized by ALA. According to some researchers, development of diabetic neuropathy may be slowed down by ALA. It also works better on intravenous administration instead of ingestion as a pill. The dose of ALA utilized in various studies is 600 mg every day. Small quantity is present in spinach, tomatoes, broccoli, peas, rice bran and Brussels sprouts. ALA seems to help symptoms of early nerve damage in comparison to advanced problems. Also referred to as thiamine, many diabetics are deficient in this vitamin. It may cause some complications of diabetes. Low levels of thiamine have been linked to damage to blood vessels and heart disease. It is a water-soluble vitamin. It cannot easily get in the cells. However, a supplement of thiamine called benfotiamine, is soluble in lipid; hence, can penetrate cell membranes more easily. According to some research diabetic complications can be prevented by benfotiamine. However, positive effects have not been demonstrated by other studies. Chromium is a trace mineral that is essential for the body. If your diet is lacking in chromium, glucose can’t be used efficiently by your body. No or only few benefits of supplements of chromium have been found by studies to control diabetes or reduce the risk of developing it. Blood sugar control was improved in diabetics who took chromium supplements in association with conventional care in a review done in the year 2014, though the improvement was insignificant. Safety: Taking supplements of chromium in large doses may result in pain in stomach and bloating, muscular problems, kidney damage and skin reactions. It is a type of vegetable, which is also available as a supplement. Some evidence exist that bitter melon possess properties to lower glucose levels. It’s also considered safe for majority of the people. You can start with 900 mg and adjust the dose in case it helps you.